I absolutely adore pizza. I can have it everyday for the rest of my life but with all the added carbs and calories, I limit my pizza in take to 1 day a week max. 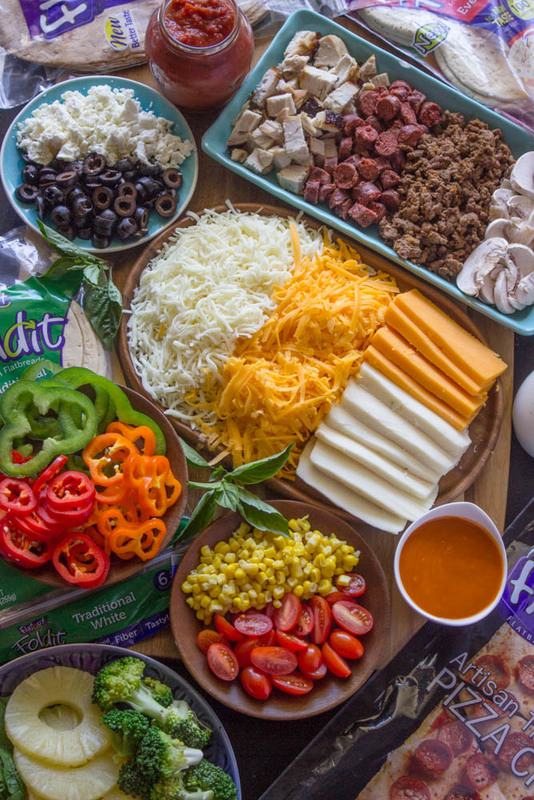 Luckly, I’ve recently discovered Flatout Flatbread, and I immediately fell in love with the fact that they have a ton of different Flatbreads that are low on carbs, calories and high in protein. They are also thin and can be used as a crust for pizza, to make sandwiches, paninis and much more. One of my favorite things to make with flatout Flatbread is pizza. It’s a lifesaver because the crust is completely ready which means no dough to prepare, and you don’t have to sit around for hours waiting for the dough to rise. You basically pull out a flatout Flatbread from your fridge or freezer, top it with your favorite sauce, then all of your favorite toppings and a touch of cheese, bake for 15 minutes and your done! 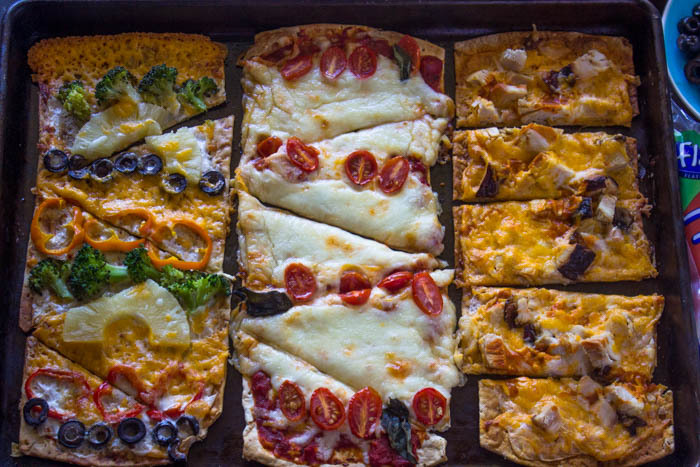 Over the past few weeks, Flatout Flatbread has become a staple in our home. When kids come home from school, they need healthy snacks to hold them to dinner and so they can play with friends, play sports or do their homework. So to help kids make healthy choices, you can get them into the kitchen and in the store to pick out healthy food. One way to do that is with Flatout Flatbread. Every Flatout is a blank canvas; it’s a perfect partner to help parents help their kids make healthier after-school choices. 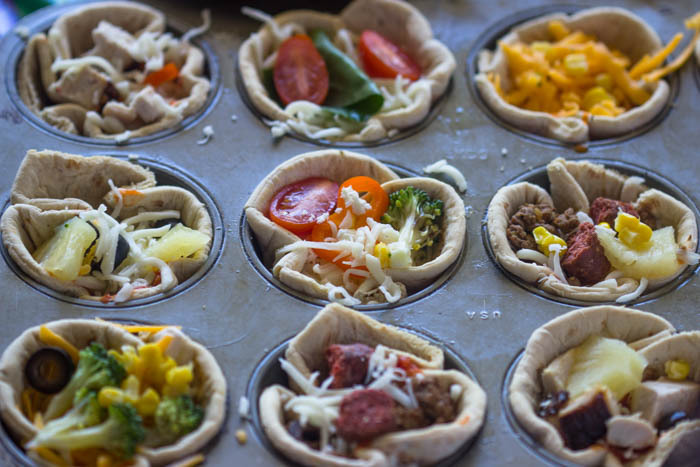 With Flatout, parents can show kids how to arrange the ingredients to make mini masterpieces. 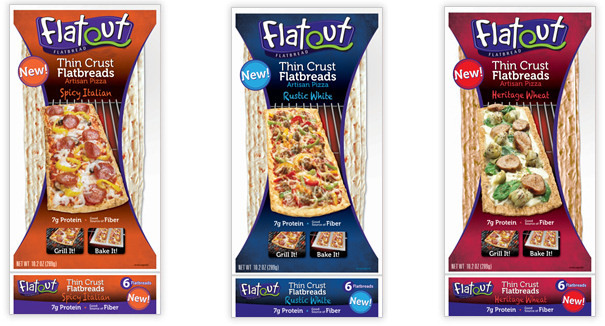 My daughters love FlatoutFlatbread because they are able to customize their own personal pizza in minutes. My 7-year-old actually makes her own pizza in our small toaster oven. 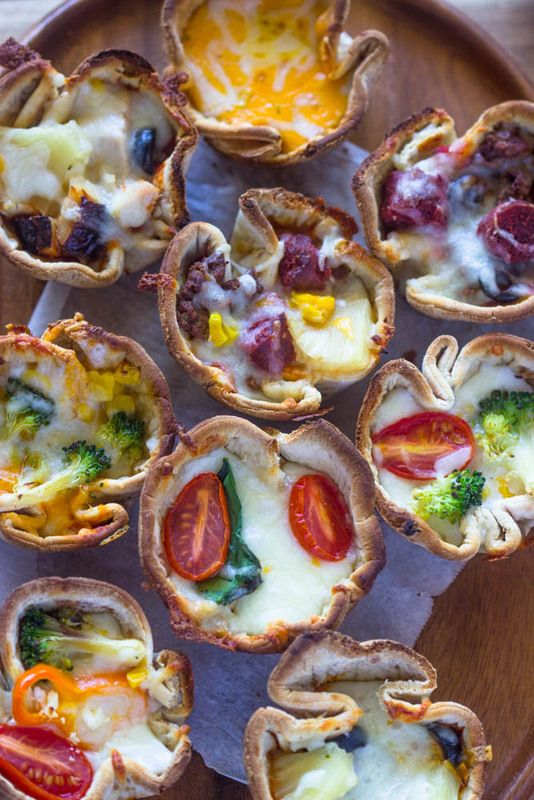 Yesterday we made these delicious mini pizzas in muffin tins. 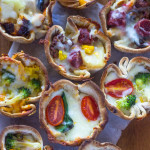 We topped them with everything my daughters love and they were able to customize individual mini pizzas for themselves. 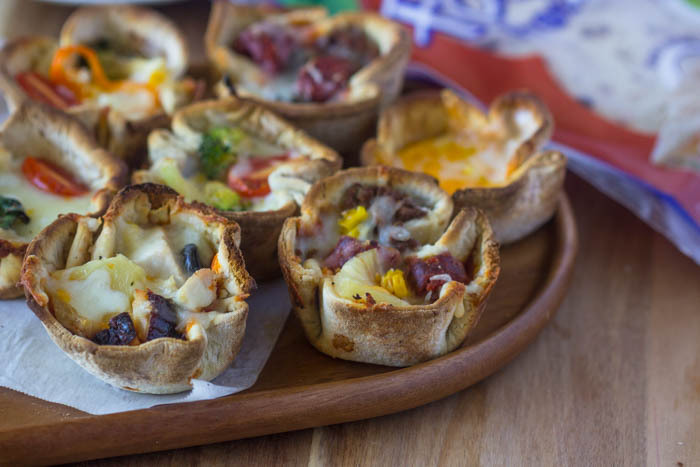 These flatout pizzas are so easy to make, they are basically fail proof, and come together in under 20 minutes. I like to use buffalo sauce, ranch and the good old pasta sauce as my base, then top them with all kinds of fresh veggies and lean meats. After that I use cheddar, mozzarella and fresh Parmesan. Preheat oven to 425 degrees. 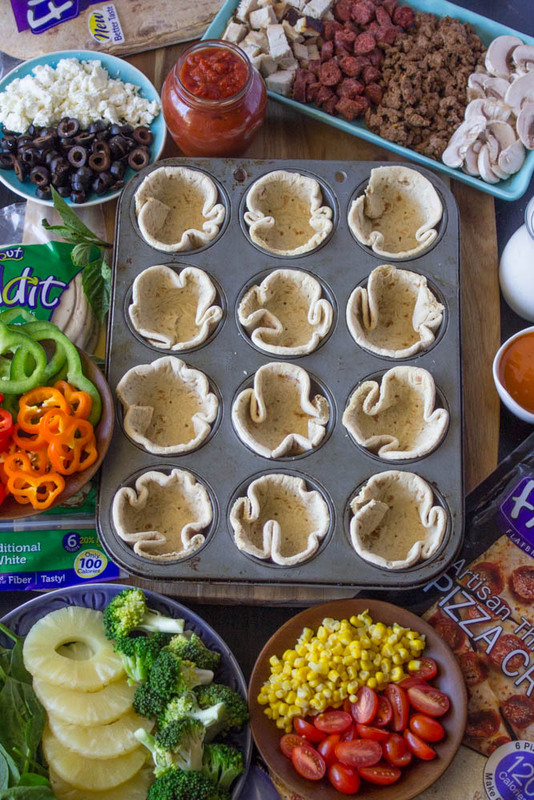 Spray muffin tin with non stick spray. Add 1-2 tbs of sauce per crust, Then add your cheese and toppings. Next add your favorite toppings. 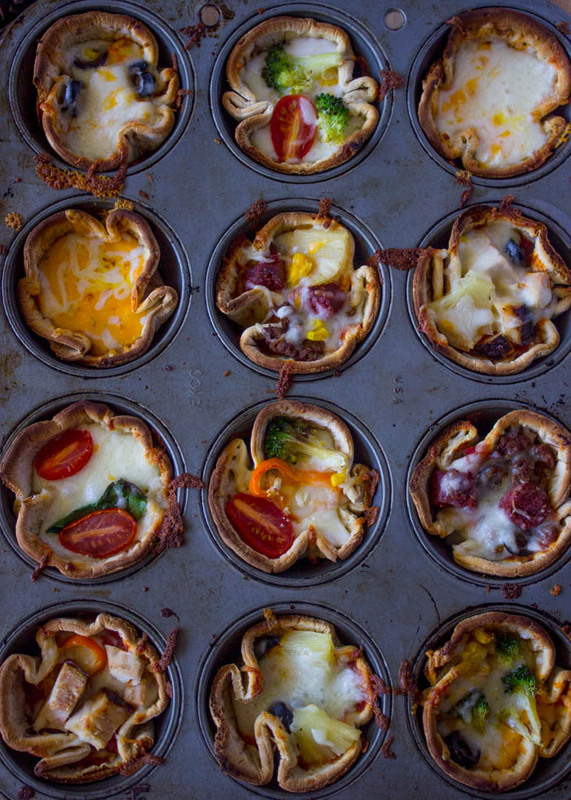 Bake for 12-15 min, or until cheese is melted and lightly browned. Preheat oven to 400 degrees. Spray a baking sheet or large piece of aluminum foil with non-fat cooking spray, and place Flatout Flatbread on it. 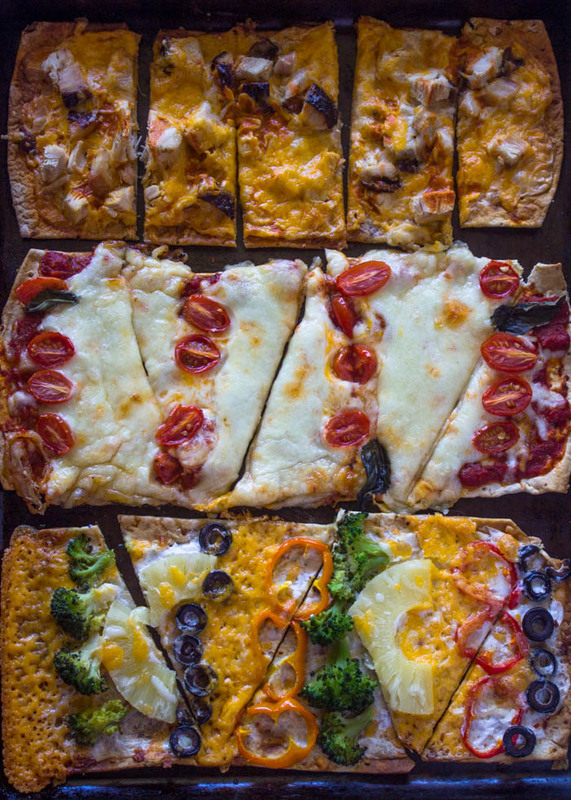 Spread each flatbread with 1/4 cup sauce, sprinkle a thin layer of cheese and top with your preferred veggies. Once you get it built your pizza or pizzas, bake for 15 minutes or until cheese is melted and the crust is slightly golden and crispy. Double or triple the recipe as needed. 1 flatout canvas is perfect for 1 person. 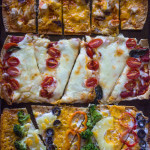 [promosimple id=”846a”] Thanks Flatout Flatbread for sponsoring this post! To find a store near you that carries Flatout, visit the store locator and try a $.50 off coupon. I never knew there were so many ways to use flatbread. I’ll definitely have to give your recipes a try.